Say hello to the last litter box you will ever buy. 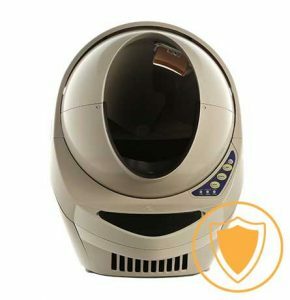 The Litter-Robot Open Air is an automatic self-cleaning litter box. The self-adjusting weight sensor detects when your cat is inside and when it’s time to clean up. Once your cat exits, a timer counts down, allowing litter to clump before a cleaning cycle begins. As the globe rotates, the patented sifting system collects waste and drops it into a drawer, leaving a clean bed of litter every time. Empty the waste drawer when indicated and add litter as needed—it’s that simple! The pet industry is evolving, as owners wish to know more about their pets. Pet technology enables owners to increase the bond with their furry friends, giving them greater control and insight into their health and wellbeing. What’s more, the information can be accessed at any time, from anywhere. Our mission is to develop products which empower and educate owners to provide a higher level of care for their pets. 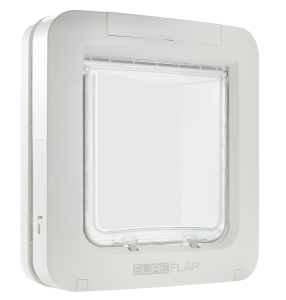 Sure Petcare has recently launched the first in a new range of connected products, the Microchip Pet Door Connect. With more products coming to market in 2018, this suite of connected products will report a variety of information about a pet’s day-to-day activities, behaviours and routines to their owner via an app. This will equip owners with an unprecedented insight into their pets’ health and wellbeing, enabling them to identify and address the changing needs of their pet throughout its lifetime. Know whether your pets are at home, monitor long-term activity and notice changes in behaviour . Receive notifications when your pet enters or leaves the house. Intruder alerts: See when neighbourhood animals fail to enter your home preventing intruder animals from entering. Share app access with friends. Invite family and friends and manage their permissions. Great for pet sitting! Availability: Available December (end) 2018. The new breed of dog toys. Fetch-a-holics rejoice! 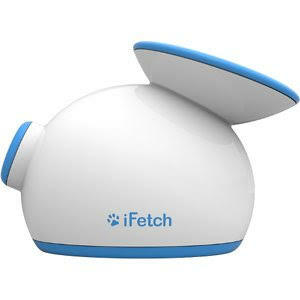 The iFetch automatic ball launcher lets your dog play fetch to their heart’s content! Looking for a way to get your dog more exercise (especially when the weather is cold or rainy)? Use the iFetch indoors and let the fun begin. Train your dog to drop the mini tennis ball into the top of the toy and let them initiate the game of fetch all on their own! Great mental and physical stimulation for your small to medium-sized dog. Description: The Bolt Laser Cat Toy is an interactive laser toy that provides hours of fun for you and your cat. Simply hold Bolt in your hand or place it on a flat surface, turn it on, and watch your pet pounce, chase, and bat at the exciting laser patterns. Pets love the random patterns they can chase across the floor, up the walls, and over furniture. Where to buy: Available for purchase on PetSafe.net, Amazon and Chewy.com. Description: Flik is an automatic teaser that throws then hides a string to entice your cat to play. Simply turn it on and watch your curious cat stalk Flik and try to capture the string before it pops back in the toy. Cats can’t resist trying to grab the “tail” flicking back and forth, just like a wild cat stalking hidden prey.